Mercury will be doing most of his retrograde this month in the sign of Taurus, the ruler of money and possessions, so some of us may spend the whole retrograde crying over all that we have lost. Mercury, the God of communication and transportation, also governs logic and our thought processes. Retrogrades aren"t necessarily bad, but they often bring up issues from the past for us to hash over once more. Mercury will be doing most of his retrograde this month in the sign of Taurus, the ruler of money and possessions, so some of us may spend the whole retrograde crying over all that we have lost. Taurus doesn"t like to give up his stuff, and most of us have had to give up something since the stock market crashed during another Mercury retrograde last October. It will be a stroll down memory lane, and some of those memories aren"t so pleasant. This Mercury retrograde should be fairly typical. The initial retrograde station could be tough, but the rest of the month should be the usual Mercury retrograde behavior. Old friends may call, and many clients tell me that ex partners come "crawling out of the woodwork" during Mercury"s retrograde. Also, those of us who are old and tired often pass over during Mercury"s retrograde. Its a really great time for ghost hunting. The veil between here and the other side gets very thin during this time. Mercury will actually begin his retrograde (retrograde station) in the sign of Gemini while at a quincunx (inconjunction) to Pluto, the planet of death and rebirth. When planets are inconjunct, they just don"t function together, so we may find our logic and our fears are at odds a few days before and after Mercury"s retrograde station (May 7th). Mercury will move back into Taurus on May 13th, and then the crying begins. The economy has been tough, and about all of us have been either directly affected by business slowdowns and layoffs, or know someone who has. "Brother, Can You Spare a Dime," could become the motto of many during this Mercury retrograde. Rather than looking at the 90% of our stuff that we still have, many of us will be focused on that 10% that we"ve lost. Mercury"s retrograde could get a little ugly from May 18th through May 21st, as Mercury joins forces with the Sun in a tag team battle against Neptune and Jupiter. And this means: bad luck, stupid decisions, travel delays, delusions, and indulging in addictions. Use extra caution driving, and watch out for the drunken driver during this time. Also (as if I really need to mention it), don"t make any major life changing decisions for at least a few days. Postpone any decisions that you can, until Mercury has turned direct. Mercury"s direct station (the day he switches back to a forward motion, May 30th) is usually more difficult than his retrograde station, but I don"t think it will be this time. There won"t be any planets aspecting Mercury during his direct station. There may still be a few extra travel delays and Internet problems, but not a tremendous amount. Okay, now its time to get out your charts and see how Mercury"s retrograde will affect you. 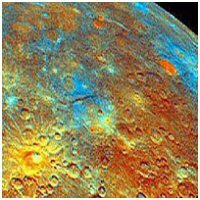 Mercury"s retrograde will transit from 2 degrees Gemini to 23 degrees Taurus. First and foremost, look as see which of your houses Mercury will transit. That will tell you the most about how Mercury"s retrograde will influence you. If you have any planets or power points from 0 degrees to 4 degrees in Virgo, Sagittarius, or Pisces (mutable signs), Mercury"s retrograde station (May 7th) could be especially dramatic for you. If you have any planets or power points from 0 to 4 degrees in Gemini, Aquarius, or Libra (air signs), this retrograde station may bring problems to people you care about. If you have any planets or power points from 21 to 25 degrees Leo, Scorpio, or Aquarius (fixed signs), Mercury"s direct station (May 30th) could cause you to postpone some of your plans, or possibly bring an extra expense. If you have any planets or power points from 21 to 25 degrees in Taurus, Virgo, or Capricorn, the delays you hit during this station could actually turn out to be beneficial. Just another Mercury retrograde. It won"t take long and it will be over.